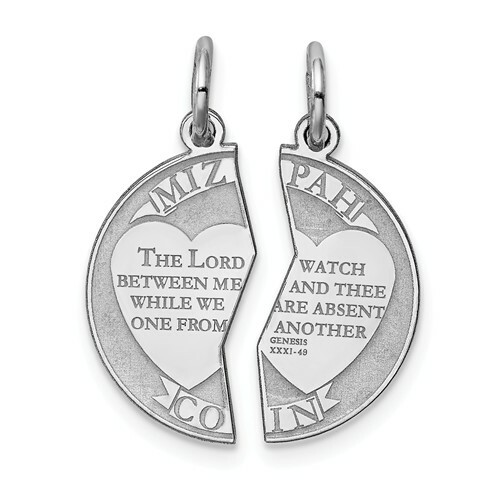 2-piece mizpah charm is made of polished sterling silver. Measures 9/16 inch tall by 9/16 inch wide without bail. This item is smaller than a dime. Weight: 0.93 grams. 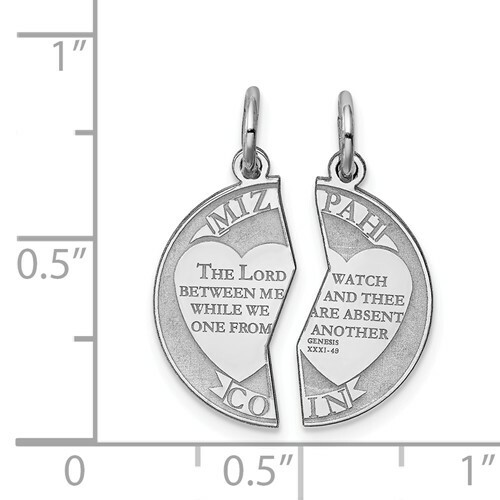 To remember the agreement between Laban and Jacob in the Old Testament, the Mizpah is two halves of the same coin each worn by a friend to show their friendship. Chain not included.